Researchers take advanatage of technology photography developed by the U.S. Army to capture beautiful portraits of bees native to North America. 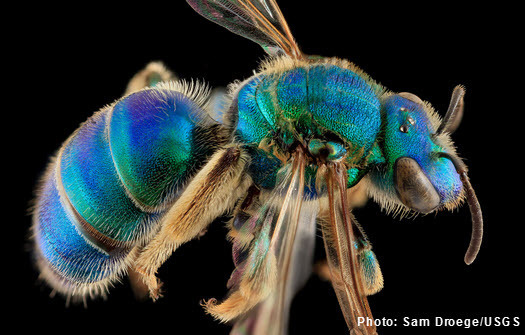 Sam Droege and colleagues at the U.S. Geological Survey began to inventory all the bee species in North America in 2001. This was partly because the insects are so important to the agriculture industry. 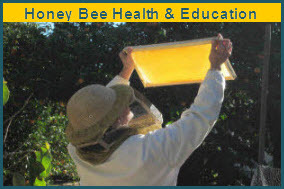 “Almost all the fruits and nuts, and a lot of the vegetable varieties, that we eat require some insect—usually bees—for pollination,” he explains. Most of the natives are overlooked because “a lot of them are super tiny,” Droege says. “The bulk of the bees in the area are about half the size of a honeybee.” They also go unnoticed because they don’t sting, he adds. They quietly go about their business gathering pollen from flowers in gardens, near sand dunes, or on the edges of parks.